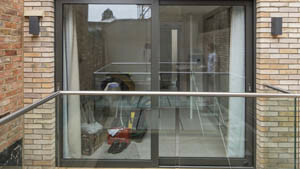 As part of an ongoing programme of security testing to PAS 24, leading sustainable building envelope specialist Schueco UK reports an increase in the number of its sliding door systems that meet this police-approved standard. 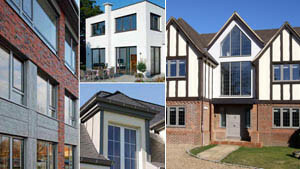 Leading sustainable building envelope specialist Schueco UK – in conjunction with RIBA Journal – is continuing its sponsorship of the Schueco Excellence Awards for Design and Innovation and is inviting submissions for the 2016 competition. Newly available from Schueco UK is the Schueco Fabrication Data Center, a unique combination of hardware and software which digitally delivers project and catalogue information direct to the workshop, so saving fabricators time and money. The way an entrance door closes can speak volumes. A reassuringly solid ‘clunk’ combined with a frame that’s absolutely rigid is a sure indication of a quality product: both of these characteristics can be found in the ADS HD range of thermally insulated aluminium doors from Schueco UK. 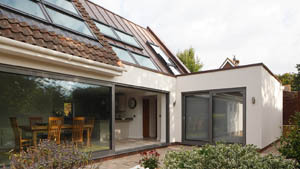 Extremely versatile in use, the Schueco ADS HD door range includes optional door leaf profiles that have been specially designed to integrate single and double sided solid and glazed attachment panels. Designer panels of this sort have proved very popular on mainland Europe and can be found in high-end new-build and refurbished properties in many locations. 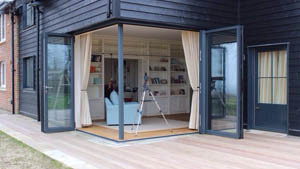 The uniquely wide choice offered by the Schueco ADS HD range of thermally insulated aluminium doors means that whatever the project, there will be a door that fulfills both the aesthetic and performance specification perfectly. 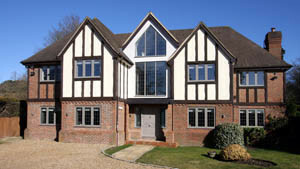 These stylish, superior quality doors can accommodate single, double and triple glazing up to 55 mm thick, giving them excellent thermal efficiency together with real flexibility in use. Typical applications include education, health, leisure and retail buildings as well as offices and high-end residential developments. New to the Schueco AWS aluminium window range is the high performance AWS 120 CC.SI which combines exceptional levels of sound and thermal insulation with integral solar shading. 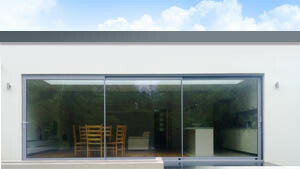 The window is officially Passive House certified when appropriate glazing is used and is available as tilt/turn, side-hung inward opening or combined with fixed lights. 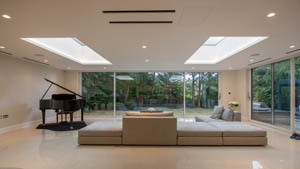 Steel systems specialist, Schueco Jansen, has just introduced a range of steel windows and doors that can achieve ultra-low U values thanks to a newly developed isolator made from glass fibre-reinforced polyurethane. The thermal efficiency of the new Janisol HI systems is matched by high structural strength making them ideal for a wide variety of applications. 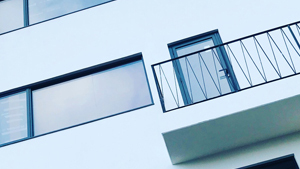 New from the UK’s leading building systems specialist, Schueco UK Ltd, is AvanTec SimplySmart, a comprehensive range of concealed fittings for all types of Schueco aluminium inward opening windows tilt/turn, side-hung and bottom-hung. Responsible companies wanting to protect their property and staff from external threats such as explosions (whether detonated accidentally or deliberately) and armed attack, would do well to investigate the range of Enhanced systems available from Schueco UK. With over thirty years experience in this field, Schueco has the products and technical expertise to provide the secure solutions they need. 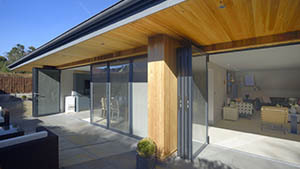 Two recently introduced products from steel specialist, Schueco Jansen, mean that architects and designers working at the high end of the residential market now have real choice when it comes to specifying top-of-the-range glazed-sliding door installations with the Janisol lift and slide door and the Janisol folding wall.